PULSAR burst onto the world watch market with the first ever LED watch in 1972 and since then the name has been synonymous with adventurous and leading edge design. Today, PULSAR continues the tradition with new collections that are as individual, as distinctive and as desirable as any in the brands history. PULSAR was born in an age of optimism. In the 1970’s everything seemed achievable through the rapidly growing technological expertise at the world’s fingertips. Space flight had been converted from dream to reality, computer science was developing at breakneck speed and electronics seemed to deliver new advances every day. PULSAR symbolised the age. It was new and it was bold. It was surprising and it was different. PULSAR created the world’s first electronic digital watch and it created a sensation when it was unveiled in New York, changing the world’s perception of time. Since its re-launch by SEIKO Watch Corporation PULSAR has found that narrow path to success that unites innovative design with universal appeal. 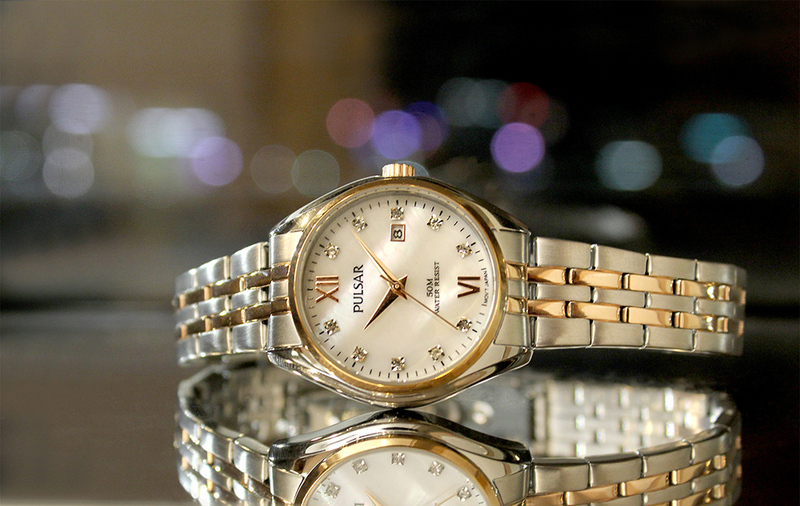 The PULSAR proposition “Tell it your way” is based on the insight that every watch buyer is an individual who seeks, overtly or subtly, to express his or her individuality through a watch. PULSAR is a brand that understands this dynamic and continues to offer watch lovers an invitation to find within the PULSAR brand the watch that fits into the narrative of their unique lives.